In the last 5th part of this series, we have seen interaction designing for UX in the UX designing CUBI model. 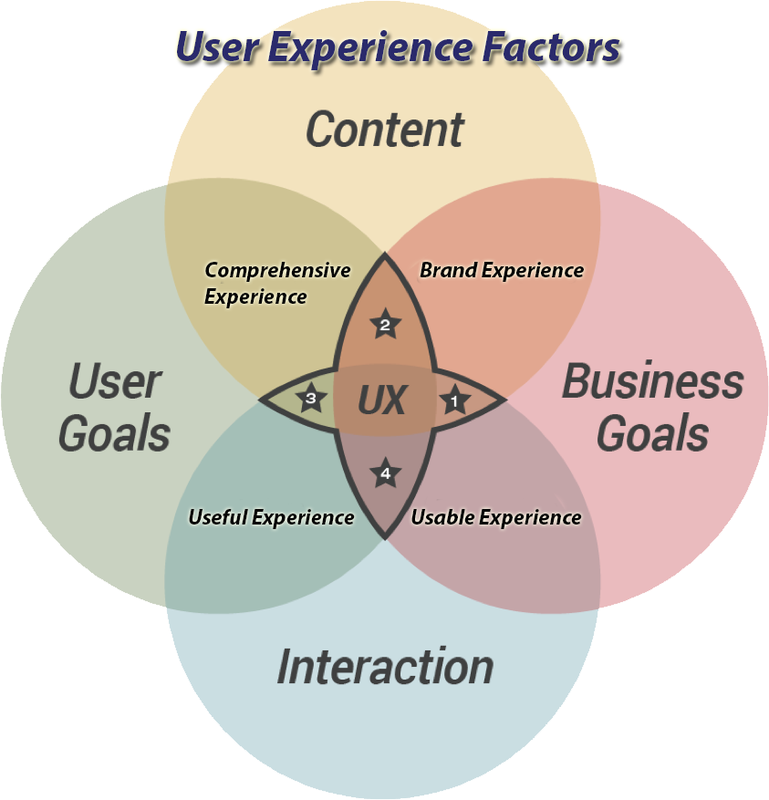 Before it, we have seen the role of content in the UX in second part, while in third part, we have seen how to integrate user goals in the UX design and about business goals in the fourth part. Now, keeping our journey continue in the exploration of CUBI model for UX designers, we will analyze which factors are influencing the user experiences on web and mobile software products and across the diverse screens. Today usability is prime area where we focus the most, but user experiences are something more than that and rewarding better than mere usability of the product. Thus, apart from the above described layers in the CUBI model, we have to understand and learn about the some important factors that highly influencing the UX designing process while we use CUBI model. Let’s check this user experience factors under the umbrella of CUBI model. Our general perception of brand is many times limiting up to logo, color theme, and some designing elements. However, in UX designing, branding is not up to visual identity, but extending up to tonality and totality of the brand experiences at every touch point for users. Therefore, it is drawing quite broad picture of branding in any UX design hence it is the most challenging factor for the UX designers where they have to extend their reach at all business processes, business components, communication, transactions, production, and final outcomes of the business. Comprehensive means understanding, clarity, unclutteredness, and organization. If your product design is following the above traits in the design, you can say that you are giving comprehensive experiences to your end-users in the products/software. In due course, you have to make your design scannable, categorized, labeled, and with lack of any ambiguity at all. Thus, it is imperative to avoid excessive corporate lingo, jargon, slang, or unreadable messages at all steps and touch point of the design and organization experiences. If your client organization or its end-users don’t feel any usefulness of your product then you are wasting your time and client’s money both. Therefore, your UX design should address target audience, their needs, and empower them to be productive to achieve their intended user goals and business goals efficiently. If your product is useful or your design proves its usefulness then you will see some tangible changes in their behaviors, actions taking on the product, and their overall performance. It is true that very few people can understand such UX designing paradigm in the industry and fortunately, Lujayn has top-notched UX designer in its web development and mobile app development teams so you can leverage your business using their expertise and experiences at premium price tags. Shoaib Marfatiya is an eminent writer in web development industry and its verticals. He has contributed a lot by throwing light on very intricate issues of web and mobile development community.